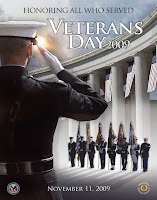 Wednesday, November 11 is the day we honor our veterans in the United States. While our Country is under attack from both foreign and domestic enemies, it's even more important to say thanks to those men and women who defend our freedom. Blue & Gray Brewing is honoring vets with a free lunch today. All veterans of the armed services, including USCG, all reservists and National Guard, active duty and retired can come by the brewery between Noon and 2:00PM for lunch. It's the brewery's way of acknowledging the risks and sacrifices all veterans have made on behalf of the United States. Happy Veterans Day, and Thank You, to all our veterans!